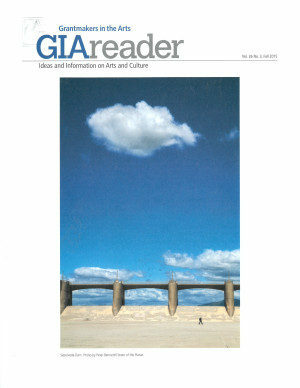 EmcArts is pleased to share our newest article, which has just been published in the GIA Reader, Vol 26. No 3. 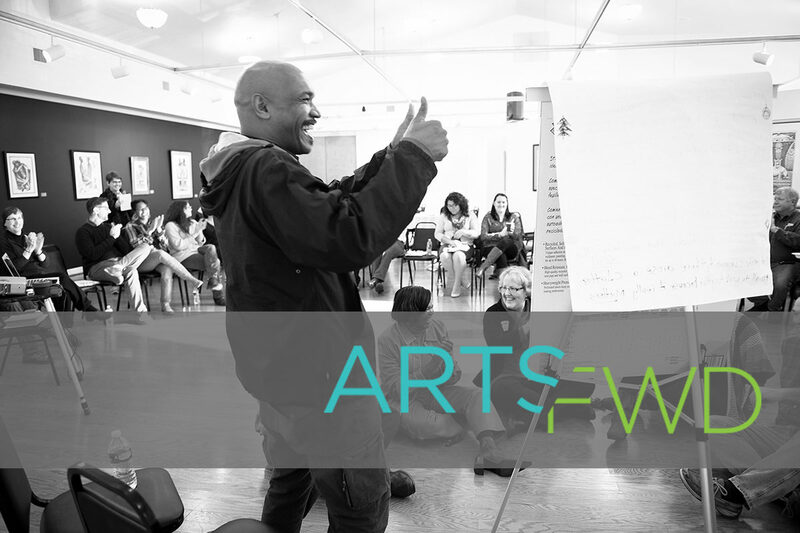 The article, “Introducing Community Innovation Labs: A New Approach for Harvesting the Power of the Arts to Unlock Complex Problems in Local Systems” is written by Richard Evans, our President, and Karina Mangu-Ward, our Director of Strategic Initiatives. It provides a comprehensive and thought-provoking overview of the origins, inspirations and context behind our new program — Community Innovation Labs. 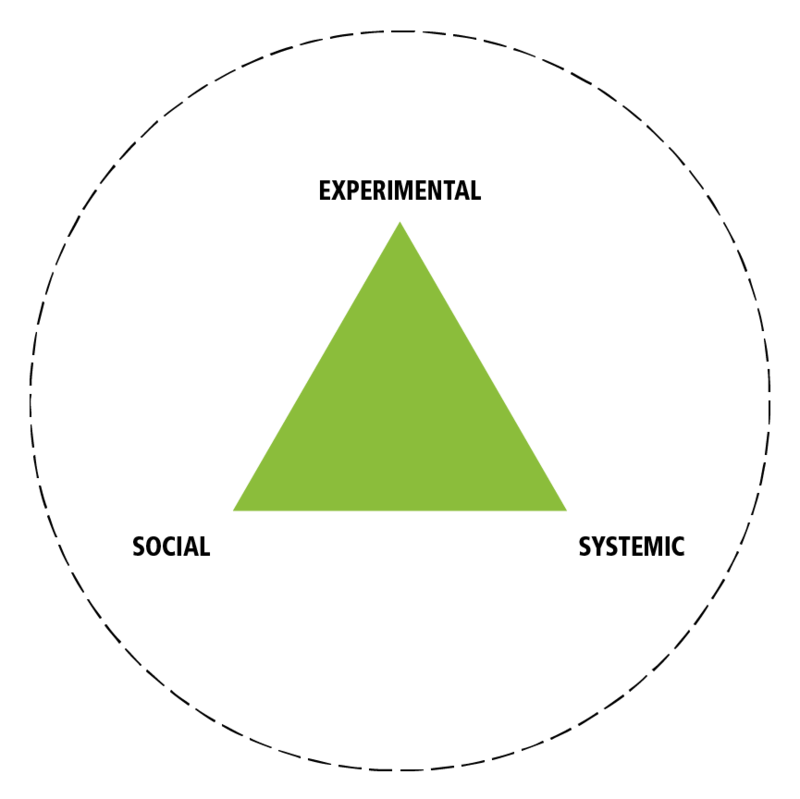 Community Innovation Labs is a new approach to solving tough social challenges by deeply integrating artists and artists experiences into rigorously designed and facilitated change processes. We recently announced the two local pilot cities for the Labs, and the program is now active in Providence, RI, and Winston-Salem, NC. In Providence, local Lab members are tackling community safety and cultural life in the neighborhood of Trinity Square, and in Winston-Salem, local Lab members are exploring transformative strategies to addressing structural causes of unemployment and wealth disparities along race and class lines. We hope you’ll read this article to learn more about our research, practice and frameworks that undergird Community Innovation Labs. The piece explains the ways in which our program design brings together learning from the fields of creative placemaking and social innovation labs, emphasizes systems analysis and cross-sector relationship building, and encourages silo-busting, experimentation, and prototyping in order to tackle complex social problems. It also explores the possible opportunities and impacts of our locally anchored, collaboratively designed, arts-integrated program. The piece features quotes and key learning by Adam Kahane (author of Transformative Scenario Planning), Donella Meadows (author of Leverage Points: Places to Intervene in a System), Zaid Hassan (author of The Social Labs Revolution), Akaya Winwood (Rockwood Leadership Institute), Michael Rohd (Center for Performance and Civic Practice), and others. The article talks about social labs and their three defining characteristics. "Each pilot Lab is bringing together a diverse, cross-sector group of network leaders in each location to tackle a specific and urgent local challenge in civic and cultural life. The design we’ve evolved combines what we hope is sufficient rigor for an unusual depth of inquiry to be sustained, with enough space for discovery and emergence that transformation can occur…The idea behind all this discovery work is that it will create the conditions for new networks of shared interest to emerge – clusters of consortium-based innovation initiatives, each of which will be supported for an intense period of repeated prototyping in response to the challenge (pursuing divergent experimental directions rather than aligning around a single proposed overarching response)." "Despite our best intentions to achieve these aims, we’re getting it wrong so often these days – still applying military metaphors and mechanical actions (targets, precision, efficiency) to situations that have become complex and fluid, unknowable and ambiguous. We’re holding ourselves back by relying on the best practices of the past and top-down strategic plans that limit our ability to discover the next practices of the future, or tackle anything other than symptoms."